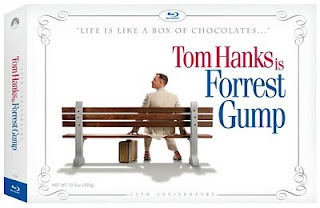 My mom would love those movies on blu-ray, especially Forrest Gump.Sometimes, she says she watches it because I used to love it so much and watched it over and over again. so sweet. Funny, I really was surpised when Forrest Gump made the list and now your reference...looks like I'm going to have to check it out sooner rather than later.